The Coronation Street actor, 39, split from his boyfriend of two years Stuart Hatton, 33, in January but has now revealed his new companion in an adorable Instagram post. 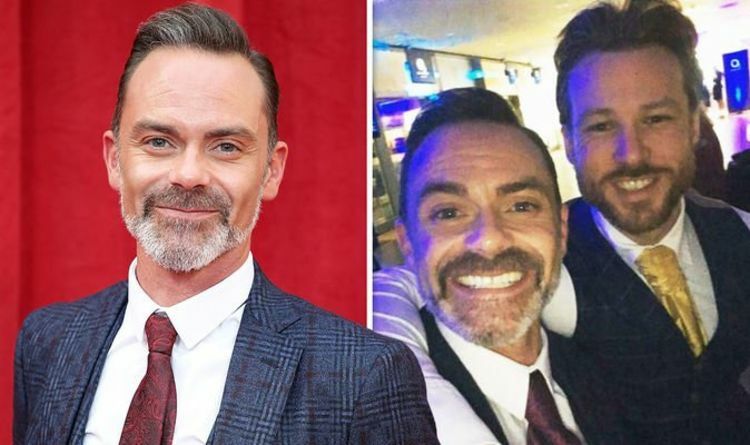 Daniel Brocklebank uploaded a cute selfie in view of his 78,000 followers, beaming for the camera as he snuggled a tiny Daschund nestled in his lap. “I’d like to introduce you to the new man in my life,” he wrote. “Meet Colin! Huge thanks to the @dogstrust for all your help and guidance. Adopt and give one of these little beauties their forever home,” he urged. Fans took to the comments section to gush over All Star Musicals star Daniel’s new addition to his family. “Awwwww congrats he’s so adorable,” a third chipped in. Earlier this year, a spokesperson for Daniel told Digital Spy he and former Mr Gay World Stuart had ended their relationship. “Daniel and Stuart made the mutual decision a month ago to go their separate ways,” they said in January. Just months earlier, the pair had discussed their future in an interview with OK! Magazine. “We’re not engaged, but if we’re going to bring up a family, I’d like to get married,” Daniel said. “We’d both like to have kids — I’ve always wanted them. “I came out in 1995 and we couldn’t have adopted then, but things have changed to enable us to do that, if indeed we did want to adopt,” he added. Stuart chipped in: “Most people like the idea of having a little version of themselves running around, so if we could look into it biologically, then great. Tonight, Daniel will be taking to the stage in ITV’s new series of All Star Musicals, hosted by John Barrowman, 52. He will be performing an all-singing, all-dancing musical number for the judging panel, which is comprised of Strictly Come Dancing’s Kevin Clifton, 36, West End star Trevor Dion Nicholas, actress Kristin Chenoweth, 50, and musical theatre legend Elaine Paige, 71. Along with Daniel, stars including Alan Titchmarsh, 69, Martin Lewis, 46, and Amy Walsh, 31, will all be hoping to impress on the night. All Star Musicals starts tonight at 6pm on ITV.